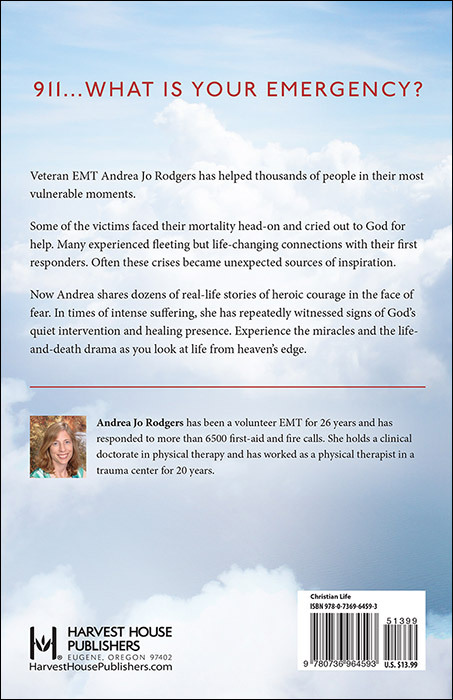 Veteran EMT Andrea Rodgers has helped hundreds of people in their most vulnerable moments. Some of the victims faced their mortality head-on and cried out to God for help. Many experienced fleeting but life-changing connections with their first responders. Often these crises became unexpected sources of inspiration. Now Rodgers shares brief, real-life stories of heroic courage in the face of fear. In times of intense suffering, she has repeatedly witnessed signs of God’s quiet intervention and healing presence. A man is resuscitated after Rodgers was able to repair a defibrillator—with her teeth! Several bystanders help rescue a young girl who is accidently buried alive in sand. Rodgers also experienced some lighthearted moments, including the time she arrived at the scene of a crime only to find herself in the middle of a mystery dinner theater. Experience the miracles, the life-and-death drama as you look at life from heaven’s edge. "Fast-paced, heartbreaking, joyful and emotional, I thought this book intertwined God's presence in an inspirational manner." "I recommend it highly if you want a good quick read." This wonderful collection of personal experiences during her long-time public service to the ill and injured is coupled with the author’s reflections on her passionate faith. Each vignette places you on the scene and allows you to see how important our first responders are to us. With imagination and a gift for describing her own and her patients’ thoughts, the incidents are brought vividly to life. Although focused on the author, she covers a wide range of accidents, chronic patients, and small town events in which we get to know the first responders—and their adrenaline-driven emotions and aspirations for successful outcomes—as if we worked alongside them at the scene. Our family enjoyed this book very much and enthusiastically recommend it to anyone interested in the intersection of community service and personal values. This is a well-written collection of first-aid stories and how the author approached the various situations that she encountered. Some of the stories are sad, some funny, and some unbelievable, but all of them leave the reader with a sense of hope. The book is easy to read even if one does not have much time during a regular work week, because each chapter is a complete story. I would recommend this book!! 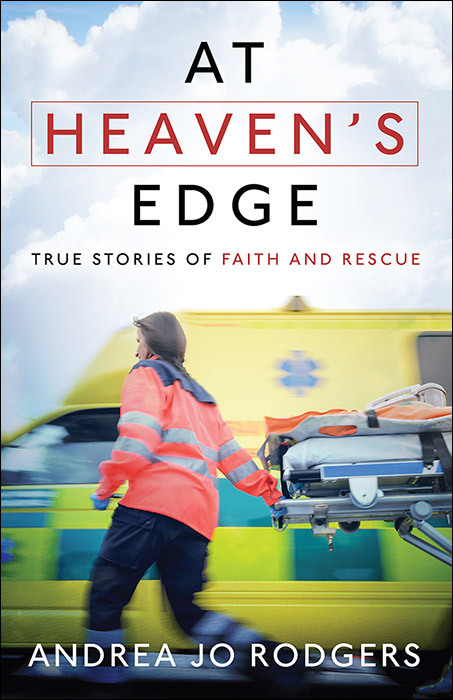 “At Heaven’s Edge: True Stories of Faith and Rescue” is a spell-binding compilation of true stories based on the author’s personal experiences. I couldn’t put it down! Some of the stories made me laugh, while others made me cry. I felt like I was right there in the action. I found myself wishing that the book wouldn’t end.